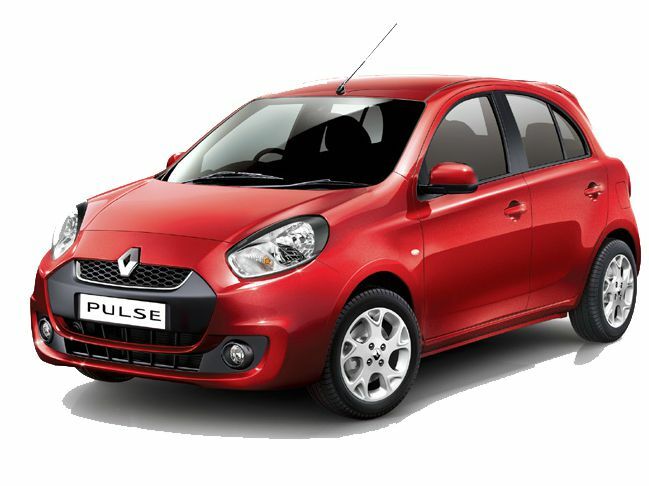 Renault India has launched the Petrol variant of Renault Pulse in India. The new Renault Pulse Petrol is powered by 1.2 liter 3-cylinder petrol engine that is capable of deliver peak power of 76 PS at 6000 RPM and a peak torque of 104 Nm at 4000 RPM. The 3 Cylinder in-line petrol engine is mated with 5-speed manual transmission car. The 1198 cc Car has Fuel tank capacity of 41 litre and comes with Electronic Fuel Injection control. Renault Pulse Petrol variant is available in 6 different color variant: Champagne Gold, Metallic Grey, Metallic Red, Metallic Silver, Pearl White and Solid Black. The base variant Pulse RxE Petrol comes with AC, Driver Airbag, Power steering and On Board Trip computer. The Pulse RxL Petrol comes with Power windows, Keyless Entry and Music Player system. The Pulse RxZ Petrol which is highest variant comes with Push Button start, Auto Fold / Unfold Mirror by Remote Sense, Smart key access, automatic climate control, auto retractable electric wing mirrors, dual airbags and ABS. The booking for Renault Pulse Petrol start a company dealership across the country.